We are comprehensively providing a wide array of Hard Water Scale Prevention Systems. These Hard Water Scale Prevention Systems protects the pipes, taps, shower heads, boilers, geysers washing machine and other electrical appliances from choking caused due to hard water. Also, the smooth functioning and excellent performance of our Hard Water Scale Prevention Systems satisfy the customers completely. Available in different sizes: 1/2", 3/4", 1", 11/2", 2". 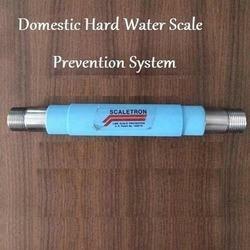 Looking for Hard Water Scale Prevention Systems ?